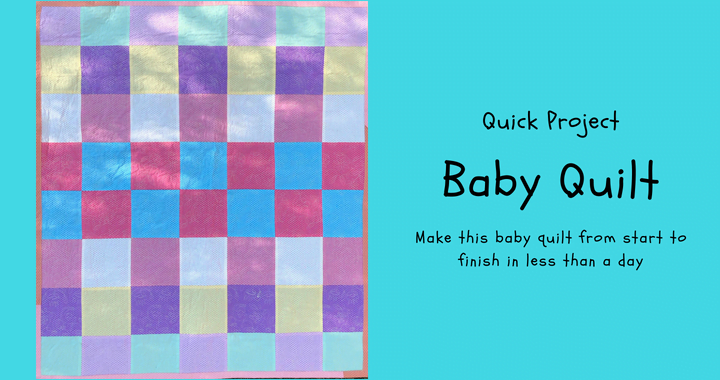 Here is a quick baby quilt using a very simple design. In this case, I used blocks, no batting, and flannel for the backing. It is soft, not bulky, and great for swaddling baby. Perfect for a newborn, and great for a baby shower gift. Perhaps add a burp cloth with matching fabric? You will notice that the seams of the lighter blocks are visible. This is due to the flannel that I used. I still make mistakes, and that's ok. The day that I stop learning, is the day that I check out from this joyride! Keep two running quarters aside for the binding. Stitch the running quarters together in rows. Now it’s a matter of alternating the strips so that you have an alternating block pattern. 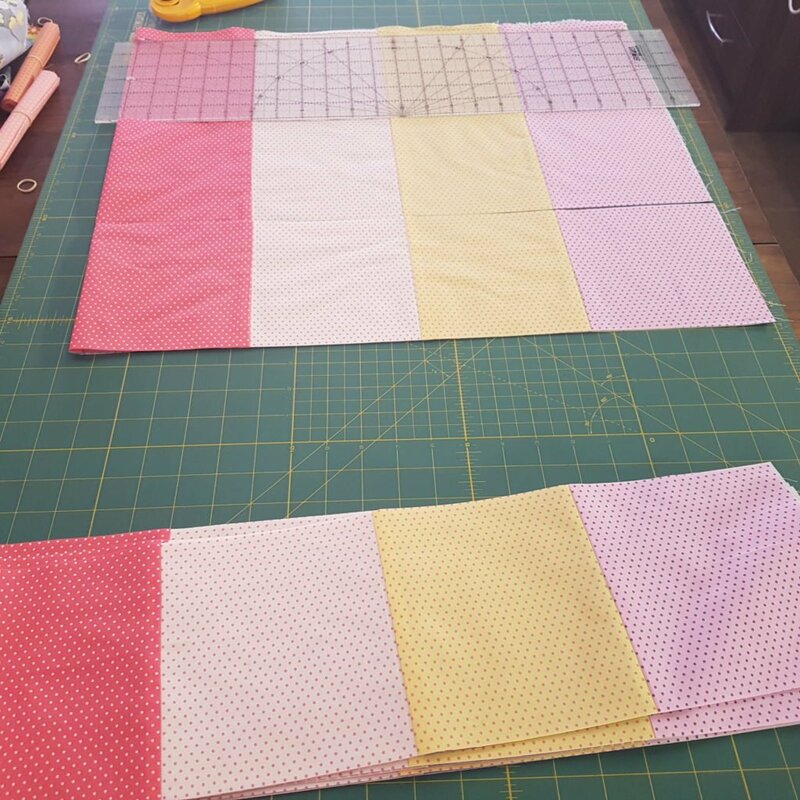 Stitch these back together until you have a full quilt top measuring approximately 40 x 45″. 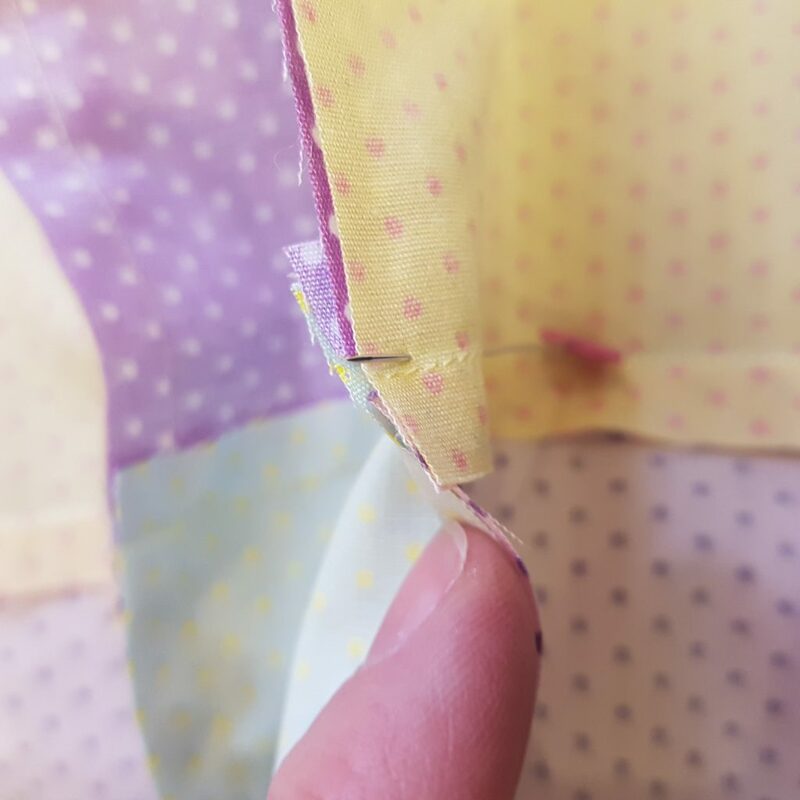 When you pin the rows together, make sure that you are nesting your seams. 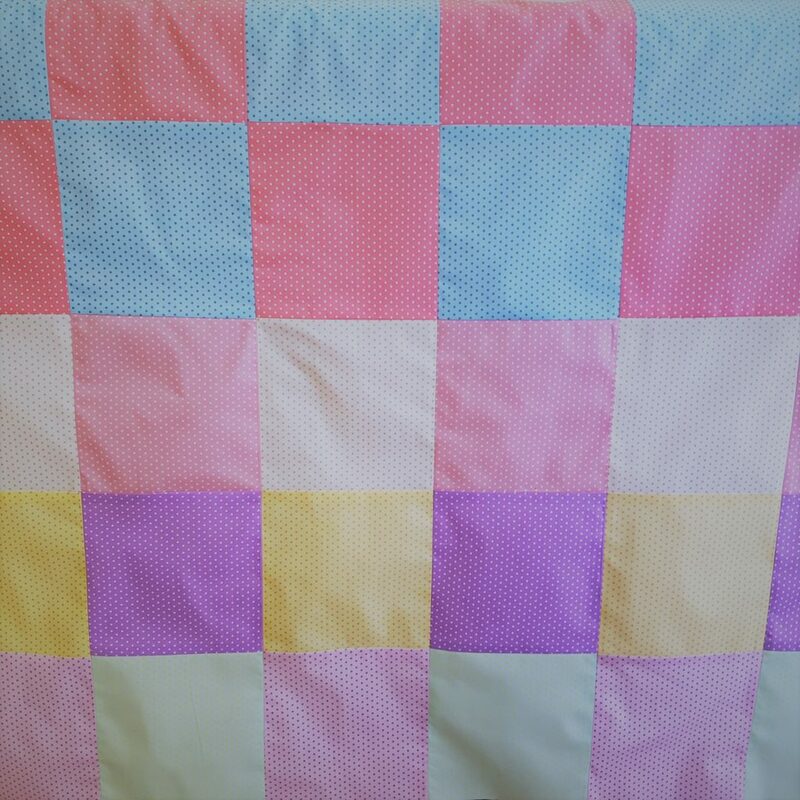 Nesting allows the join to lie flat when you press it and makes the quilting easier. Give the seams a press. I sometimes press my seams open, but with the light fabric I chose to press the seams to the darker side. Use your 6″ ruler, or else measure the 6″ and cut columns so that you have blocks. 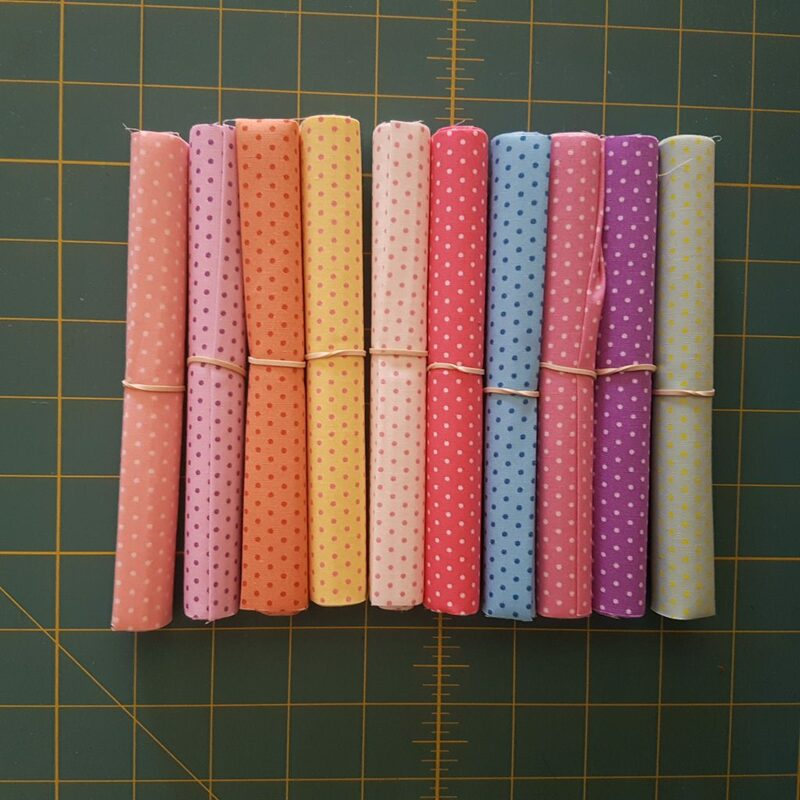 Sandwich your top and flannel for quilting. 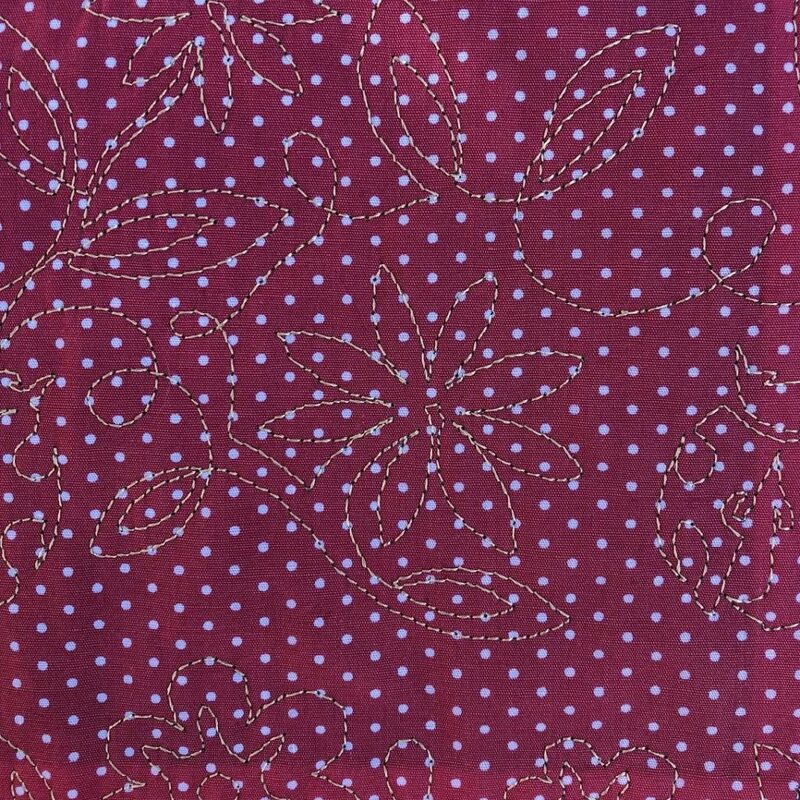 I used the Bugs with Flowers pantographs available from our store. 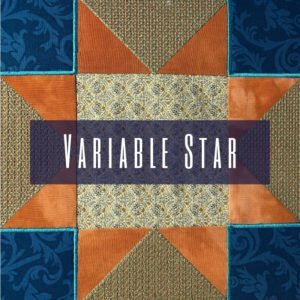 When you quilt only two layers like this, your sewing machine tension can be an issue, so check throughout. 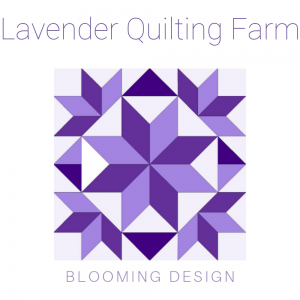 When you have done your quilting, square up your quilt and bind. 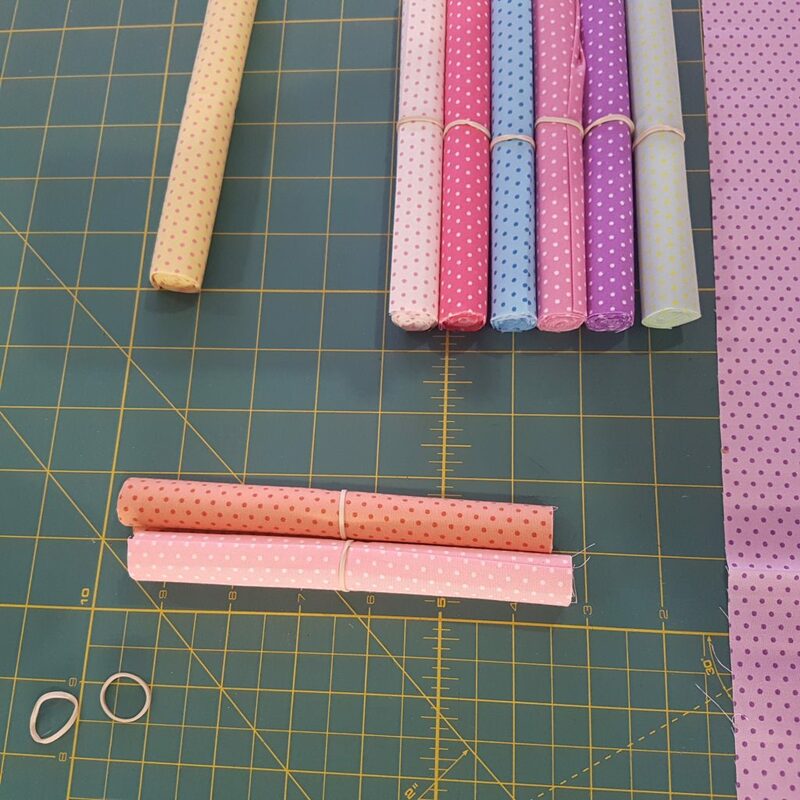 A tutorial on binding is available here. I made this whole project in less than a day – finishing in time to fetch the kids from school! The advantage is that using running quarters, there is very little cutting. I always find that to be the most time consuming – that and loading the layers on the frame! 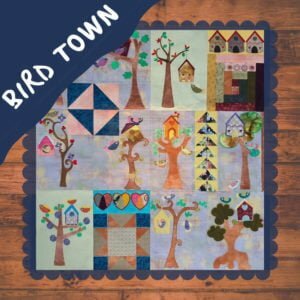 Posted in Learn to quilt and tagged beginner quilt, designs for quilting by machine, longarm quilting, quick projects; pouch; cell phone; in-the-hoop, quilting, quilting patterns, quilting tutorials for beginners, tutorial, tutorials; longarm quilting; quilting for baby.